Share the post "Gift Ideas for Tween Girls"
My daughter turned 9 years old last month and choosing her presents was something of a challenge. She’s at that age where there aren’t loads of things that she ‘needs’, she already has lots of stuff and she didn’t have many items on her wish-list. 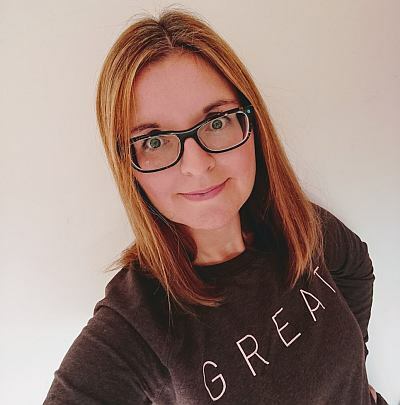 It seems that I am not alone in finding it tricky, as so many of you were messaging me over on Instagram asking me about some of her gifts as you’re looking for inspiration for your daughters, nieces, granddaughters and friends. Young girls can be tricky to buy for it seems! 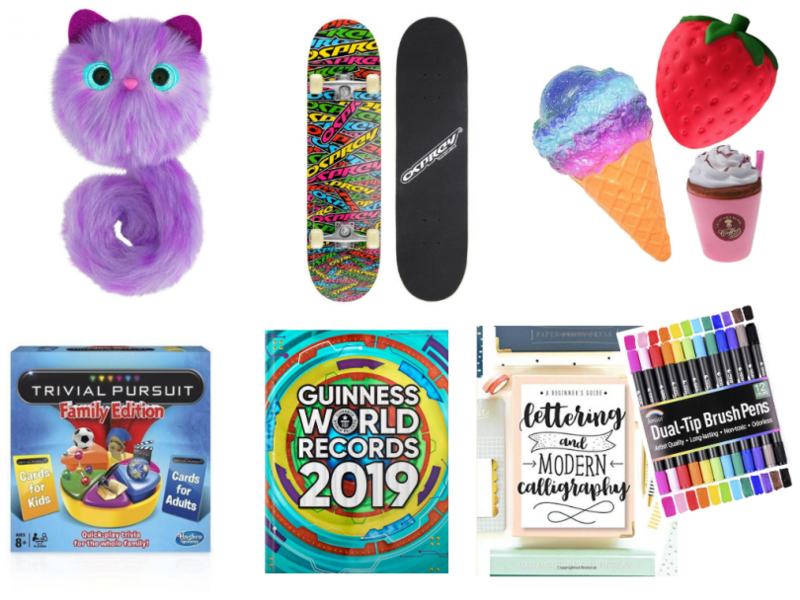 So today I thought it’d be helpful to share a few gift ideas for tween girls with you, perfect for girls aged 8-12 years old. The items I am including here are all owned by my daughter. That’s to say these aren’t things that we’ve seen and think would make a good gift idea, these are things that we have here and would recommend based on our own experience of them. They are all available from Amazon (I don’t ever dare add up how much I actually spend there each year – that easy to buy app gets me every time!) so I have included links to them there so you can take a closer look at them and read the reviews there (I also don’t dare contemplate the amount of time I spend each year reading reviews before getting round to actually buying things!). These links are affiliate links, so if I’m recommending something you like the idea of and are happy to buy it from Amazon, thank you, as I will get a few pennies for your purchase via my link. Right, full explanation and disclosure over, bring on the gift ideas for girls! Obviously some of these are quite specific to my daughter, but I am hoping there’s enough suggestions here to inspire you…. Pets that turn into bracelets, what’s not to love?! There are several different ones to collect, and they vary in size. We have a few of these now, and they are a little bit different and easy to carry around as they are attached! You can read more about Twisty Petz here. We have a lot of Little Live Pets, so this is the latest addition. I actually think it’s the favourite. The dragon hatches, moves its wings, makes noises and moves along. It can then go back inside its egg and hatch over and over. The surprise element is that you don’t know which dragon you’ll be receiving until you open up the packaging. I have to say, it is very cute. You can read more about Little Live Pets Surprise Dragon here. Board games are always a hit, and with so many to choose from, we are always finding new ones to enjoy. This list could include a dozen, but I have just popped a few firm favourites in. This was actually a game that Boo chose herself with her pocket money earlier this year and I can’t tell you the amount of times we’ve played it. It’s a great family game, as my 6 year old son is just as able as the rest of us to play (and win!). There are different versions available, I think, but we’ll always go for a Disney option if there is one. You can read more about Disney Labyrinth here. What is it with kids and slime? But it is definitely a thing, in fact both of my children have a fair bit of slime. Along with the pots of slime that you can get, we particularly like the Slime Baff packs, as they take slime to another level! You can read more about Slime Baff here. My daughter’s not much of a gamer, unlike her brother. But this is one game that she will play and loves to play. I like watching them both on this one as they really go for it. It’s great exercise, and yes, I have been known to join in! Ours is on the Switch, but I see that you can get it on the PS4, too. As a bonus idea, if you do have a Switch, you might also like these Nintendo Labo kits that I reviewed recently. You can read more about Just Dance here. Another board game, and another one that Boo chose herself, with her birthday money. I remember having this game when I was a girl, and it’s very similar to how I remember it. It’s a fun one to play, and again, we all play along with this one. Boo always wants lots of babies and a big family, Little Man tends to try and avoid those spaces! You can read more about Game of Life here. Have you seen these? You’ll be forgiven for not understanding the attraction, I cannot explain this phenomenon. But there’s no doubt about it, they all seem to love them! You can read more about Squishies here. These are very sweet. They are soft, plush cat-like creatures with tails that can be wrapped around your wrist, bag strap, desk, wherever. They are interactive, as their eyes change colour according to their needs and you have to look after them and nurture them. There are various colours and I think they are quite reasonably priced for this kind of toy. You can read more about Pomsies here. The final game on the list, this one was a birthday gift. It is an easier version of the traditional game and it comes with two sets of questions, one for adults and one for children. Which means that Boo does repeatedly, and joyously, win! You can read more about Family Trivial Pursuit here. This is a book that she dips in and out of and it is permanently out on her desk. I am often assailed with facts as I walk past her bedroom. It really captures her interest and she tells me that she wants this every year from now on. You can read more about the Guinness Book of World Records here. Boo has been desperate for a skateboard for months now, so she was delighted when she got one for her birthday. It is taking some getting used to, with the Husband helping her to figure it out as he spent his teen years skateboarding. It’s great to see her taking up something new and it’s also something that is getting her outside having fun. You can read more about the skateboard we chose here. You’ll know if you read and follow me, that I have recently taken a modern calligraphy course and the Husband enjoys brush lettering, so naturally our girl wants to join in. I did some research and bought her this book and these pens so that she can sit and practice alongside us. She’s really enjoying this, she likes anything arts and crafts and this is a bit more grown up than some of her colouring books and sets. You can read more about the book and pens we have here. There are then LOTS of books that I’d suggest. Every Christmas and birthday in this house will always involve a new book…or two…or a dozen! Thinking about it, I’ll probably write a whole other blog post around brilliant book series so I can share all of those. Then clothes, iTunes vouchers, magazine/box subscriptions, theatre tickets, chocolates, cinema trips and cash all also go down very well! As I say, I have only included things on this list that Boo owns and loves, so it’s really her gift recommendations guide. I do hope that this has helped a few of you out if you’re looking for gift ideas for tween girls? What would you add? I don’t have a tween girl but I’ve saved some of my ideas for my boys! I’ve been looking at the Labyrinth game for a while and wondering whether to get it for Christmas, I couldn’t quite figure out what it was like but now I know there is a Disney edition I will definitely get it! We’re trying to move onto more classic board games rather than just playing Hungry Hippos over and over. Mine have all asked for Pomsie too so good to know you’d recommend them. We all love that Labyrinth game, I’m sure you will, too. It comes out to play very frequently, and believe me when I say that there are a lot of games for them to choose from! We have loads of the classic games, nice to move onto those sort of board games. Yes, those Pomsies are very cute, I do find myself sitting there stroking her from time to time!! Kim Carberry recently posted…Loison Panettone with Ciaculli Mandarin from Sous Chef – Review! What a great ranges of stuffs for them! I love the just dance myself. I might get them for myself this Christmas! Yes, get it! I like it, too.